Sheldon has come up with many iconic phrases and ideas. 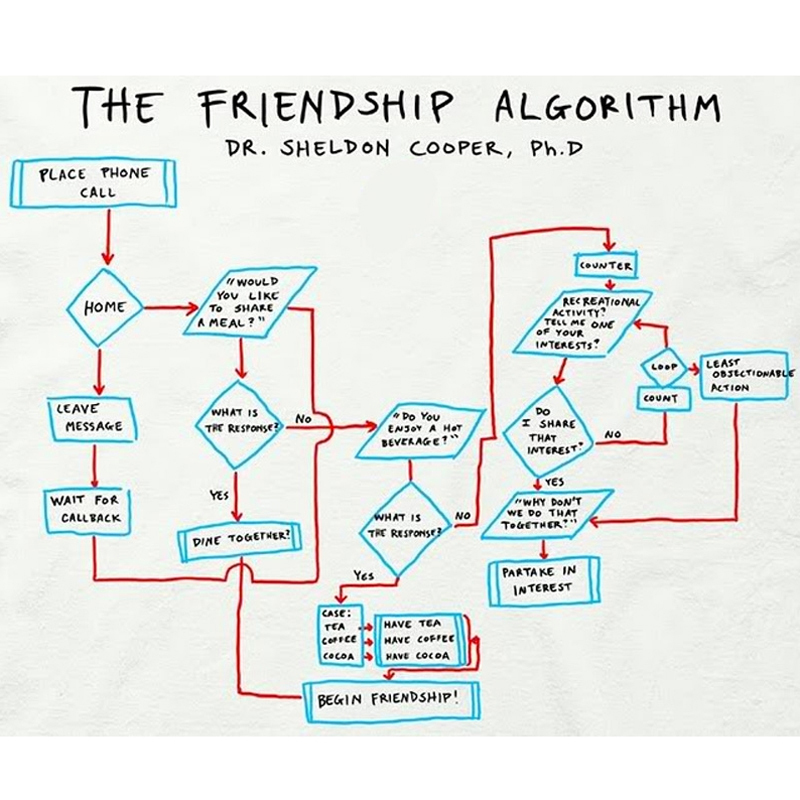 One of his most brilliant formulas is that of the "Friendship Algorithm." You need to weigh your friendly communications upon all the illustrated variables to figure out where you stand. 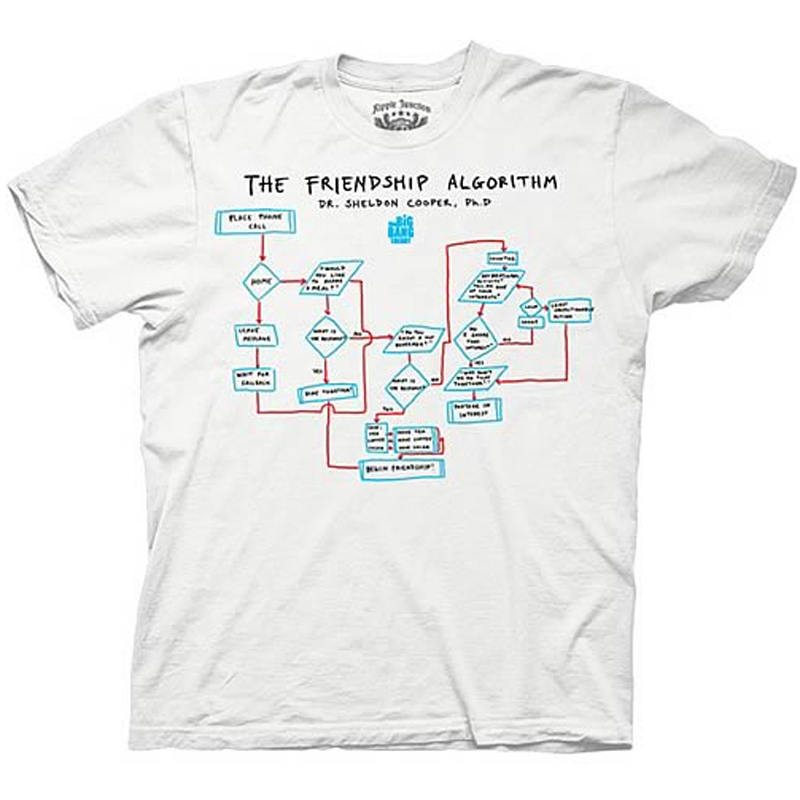 Refer to the entire Algorithm in all it's glory right on your Shirt everyday and stop the pointless runaround with non-friends. This is a Mens fit Shirt, so women please find your fitted Shirt elsewhere on the site. Feature: - 100% cotton Shirt. Off-white with full color print. Adult mens size. Machine washable.